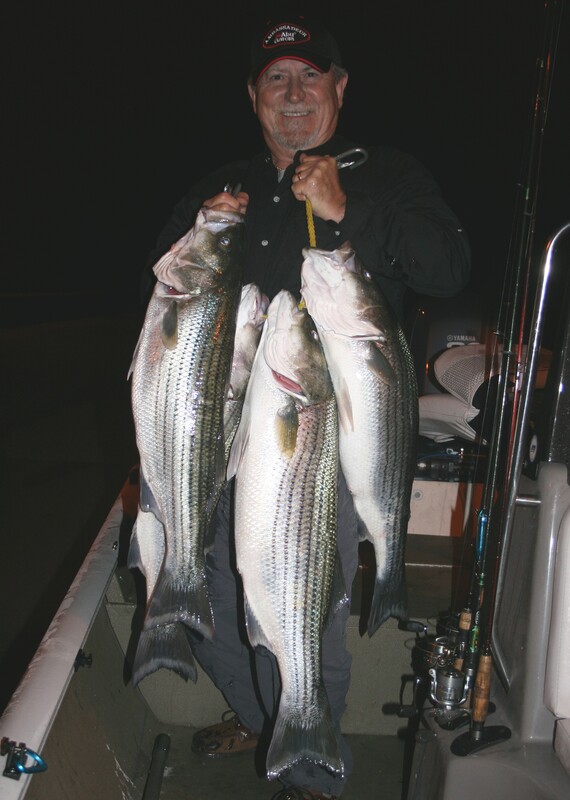 Tools for surface feeding striped bass and hybrids include, from top left; Cordell Red Fins in seven- and five-inch lengths, Storm Jointed ThunderSticks and Pop-R’s in Super and P60 models. 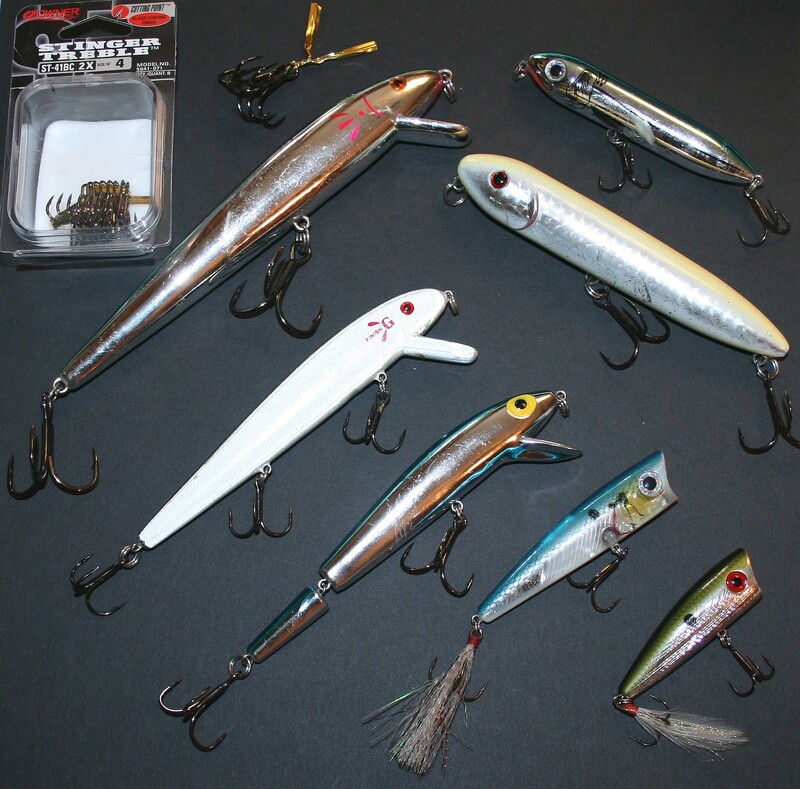 Top right, Heddon Super Spooks in junior and standard sizes. 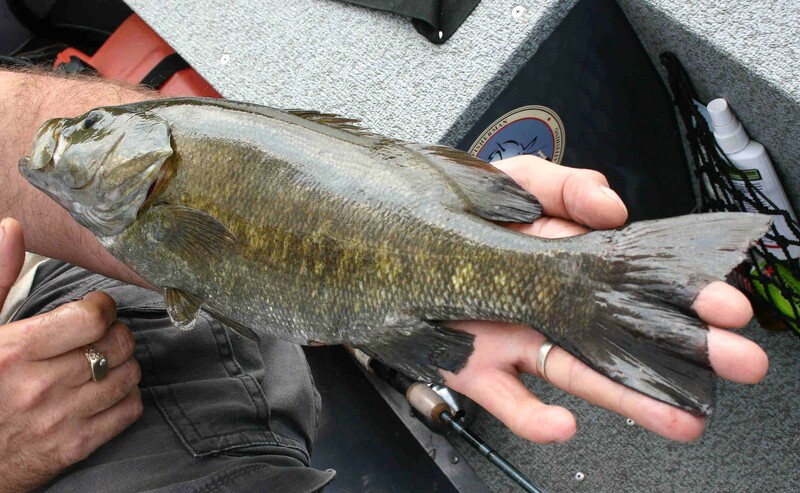 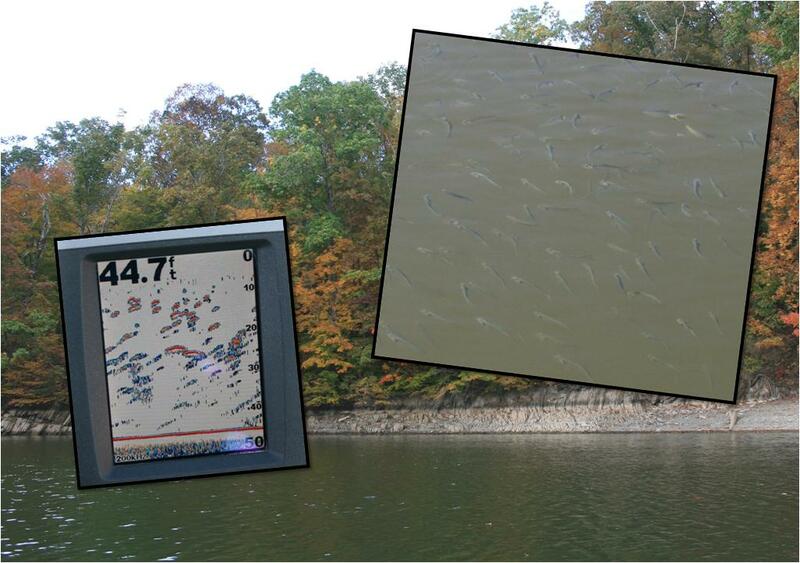 Chrome lures with blue or black backs are staples on most waters but on some, bone or grey colors are top choices. 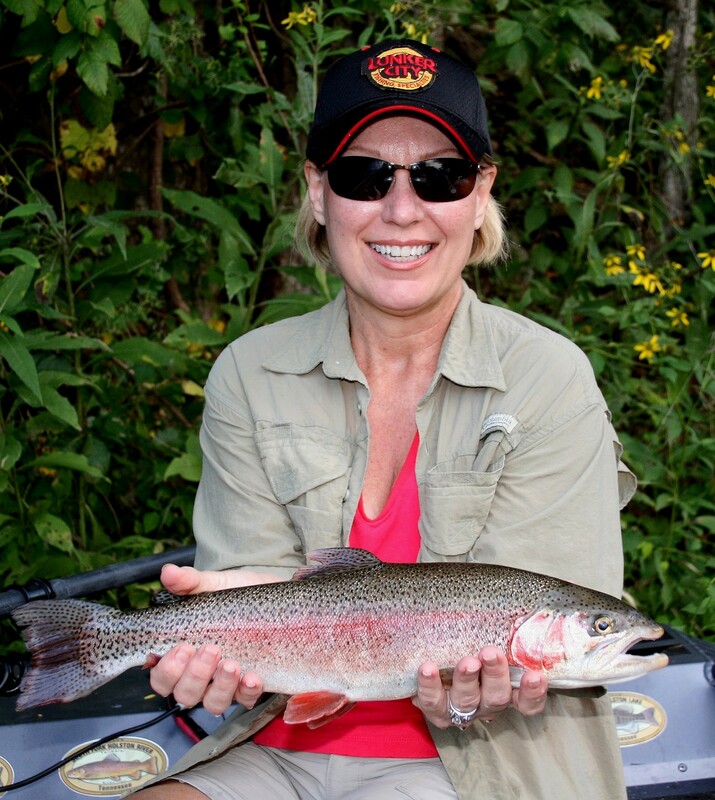 Replace factory hooks with extra-heavy, chemically sharpened models like Owner ST41’s and you’ll be well equipped. 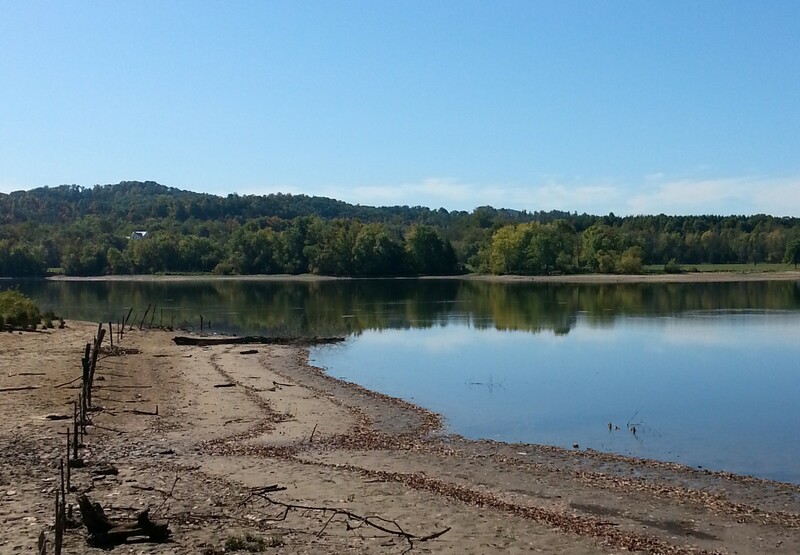 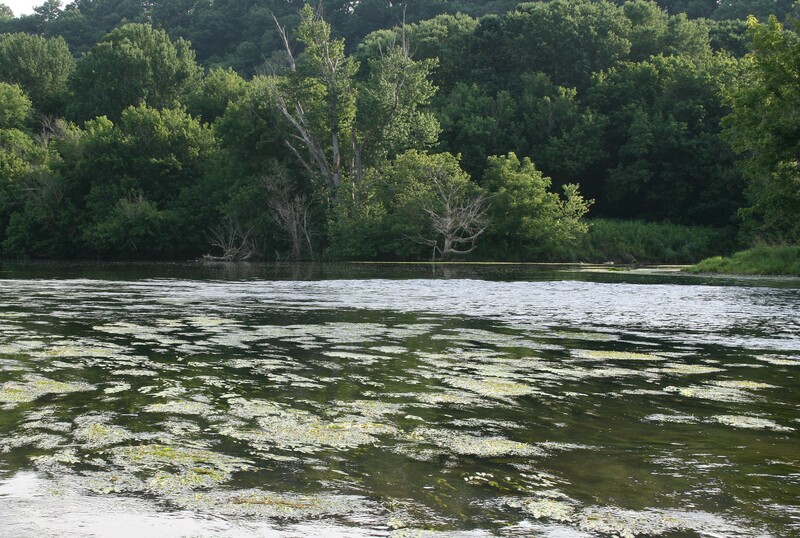 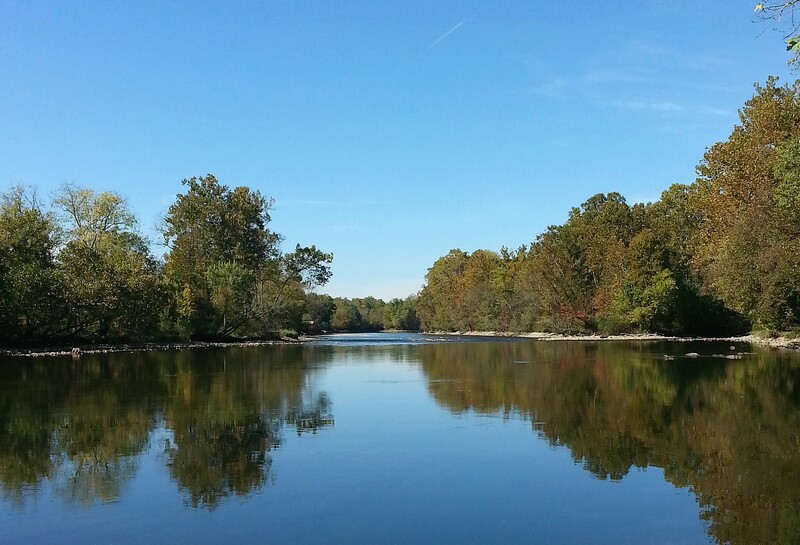 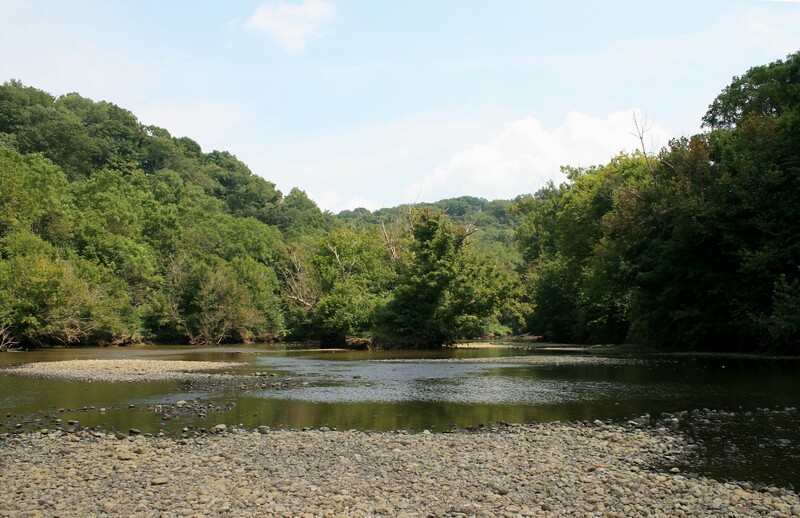 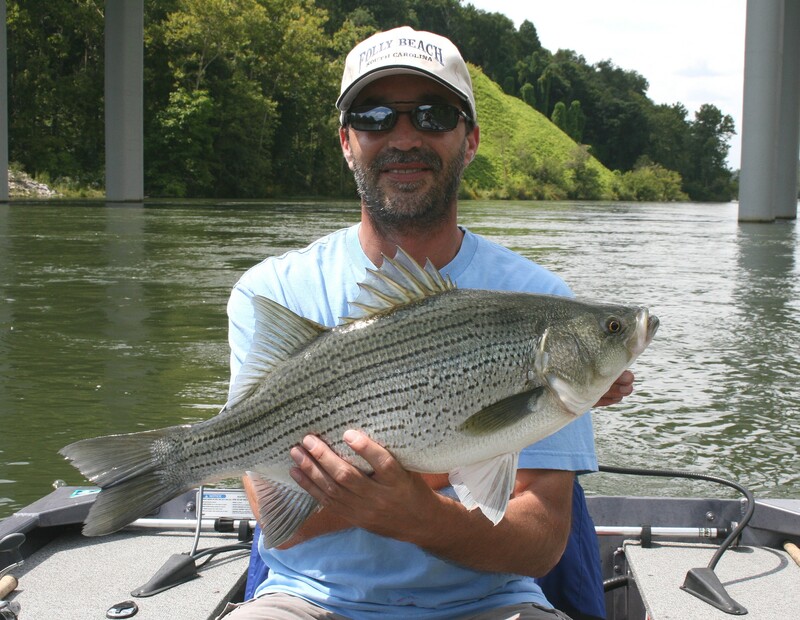 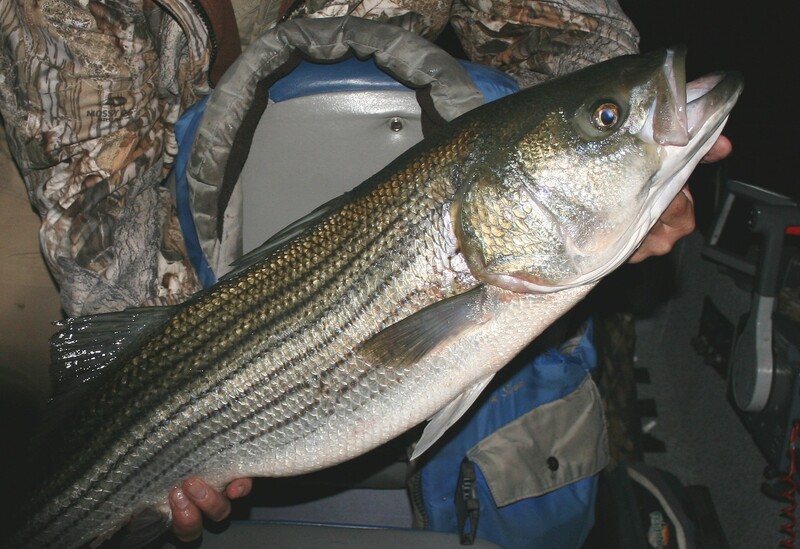 Shallow cool-water rivers like this will attract striped bass throughout summer.